This was so easy to make! No measuring, just a bit of masking with Post-It notes. So how did this lead to a second card? When I'm stamping with a lot of different colors, I like to prime my stamp before I do the "real" stamp. 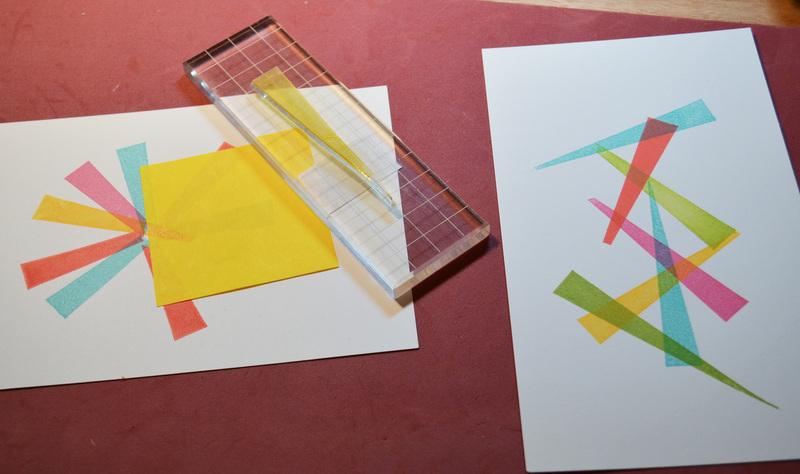 I load up my stamp with ink, stamp off onto a scrap piece of paper, then load up again and stamp the final image. You see where I'm going with this right? Love, love, love, love, love! I'm speechless - great colours and graphic design! Awesome! Both cards are fabulous...and how you came up with using the 'scrap' piece is very clever...I like how you cut out the circle and stamped your sentiment inside...perfect!! What very cool cards dearie!!! These are great JJ! I just LOVE that last one! Way to make something fabulous from your scraps! JJ these are so fun and colorful! Love how you did the sentiment for the second card! Thanks for the feedback on the cardstock...I have a multipack on its way now and I can't wait to play with it :) Your cards are fabulous...love the fun color combo! That second card was a scrap!!?? It's so festive and wonderful! Love the bright colors. Fun stuff! I love all the bright colors, JJ. Looks like I will be able to get lots of mileage out of this set. Thanks for the tips. 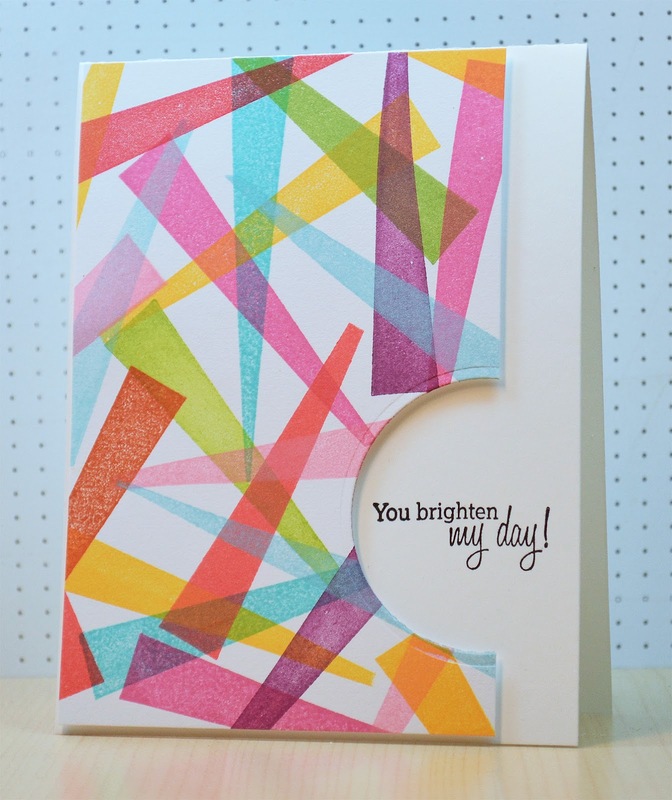 wow, wow, wow, I just love your "scrap" card!! Always a sucker for the half circle punch with a sentiment inside, but the round looks so great with all those lines!!! JJ...LOVE! This is gorgeous! And thanks for the tip on the white paper! Might have to check it out! Beautiful, bright cards. I love the design of the second one, who knew! Oh WOW!!! So much gorgeous color!! Lets see... organized or random? I love the random stamping - what a beautiful one of a kind pattern with so much color it is like candy to the eyes! Two colorful and fun cards. I love them both. How fun are both of these cards. JJ, you really brightened my day with both cards. 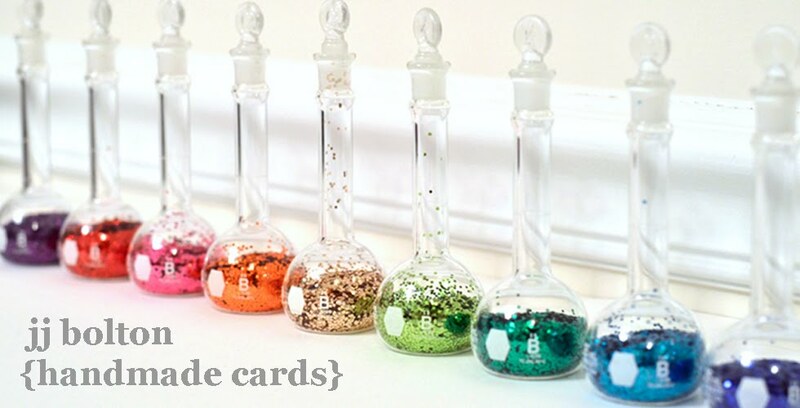 Great idea to use your scrap paper for another card, and the randomness is gorgeous. I love them both, but especially the one from your scrap stamping. What a great utilization of your inks. And I love how they pop on the white card stock. 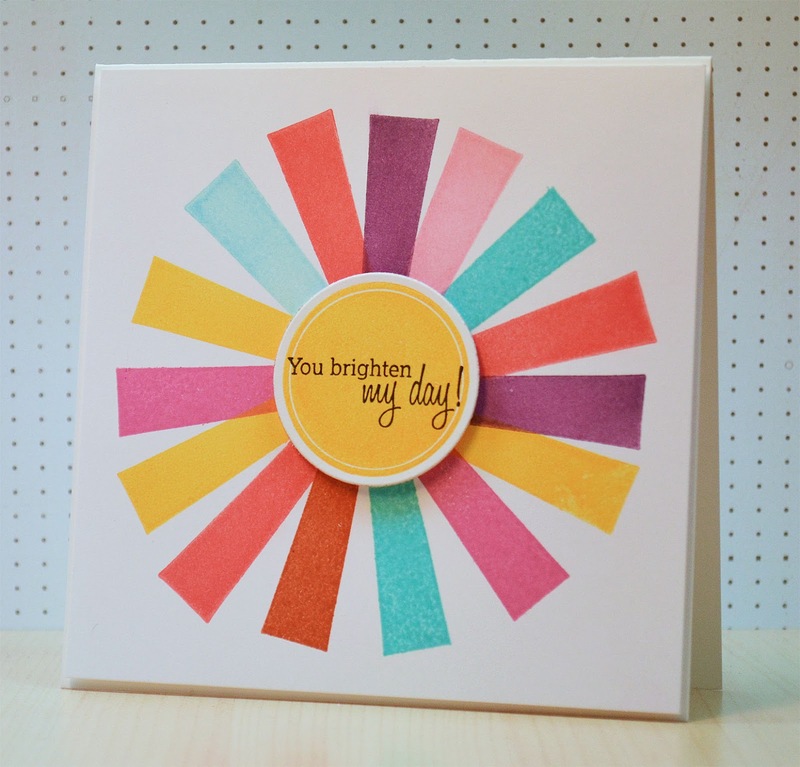 What great cards--so bright and so much fun! Love both cards, but the "recycled" one is genius! The color layering was just meant to be! That "scrap" card is my FAVE!!! Wow, these cards rock! It's very cool the way you find new ways to use your stamps! FAB-ulous cards!! The "scrap" one is Brilliant!!! Fun cards!! I'm loving all the color! Love how you used the triangular stamps in such unique ways... very nice. Love both of these awesome graphic style cards. Great colors, too.